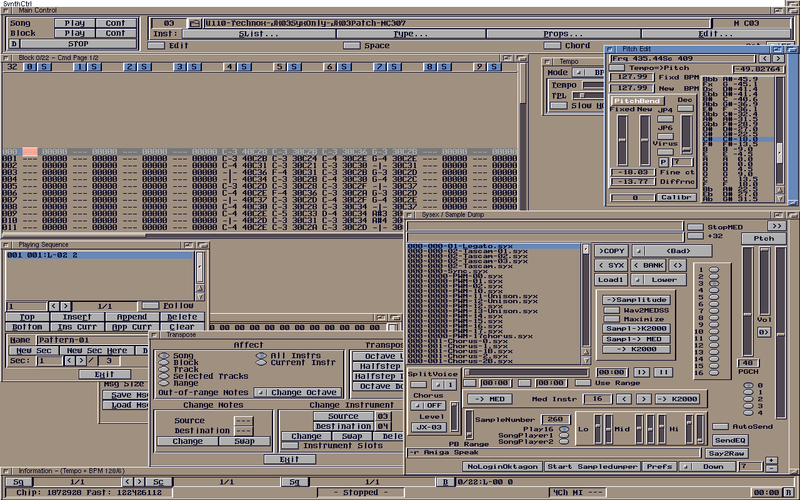 SynthCtrl: Plugin for MED-SS to Control all the Hardware Midi Synths. It's a kind of Personal Developed Midi Control Panel, to Automate My Midi Setup. 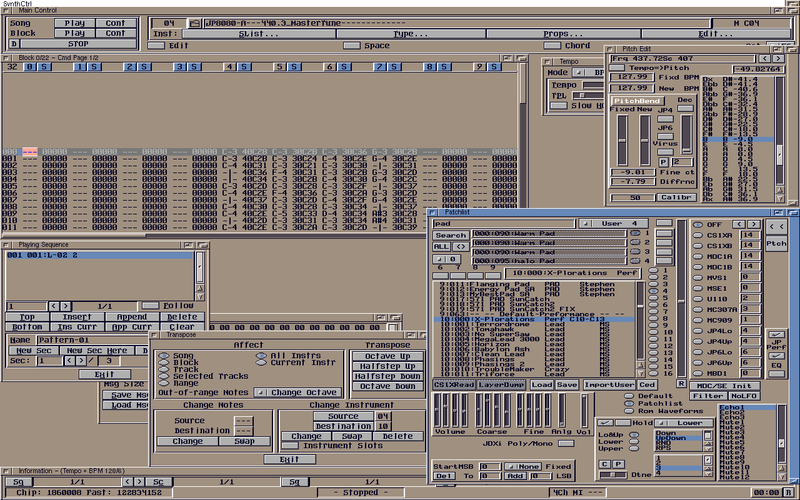 This way I have Total Control over the Midi Synths, and Recall of all the Midi Settings. 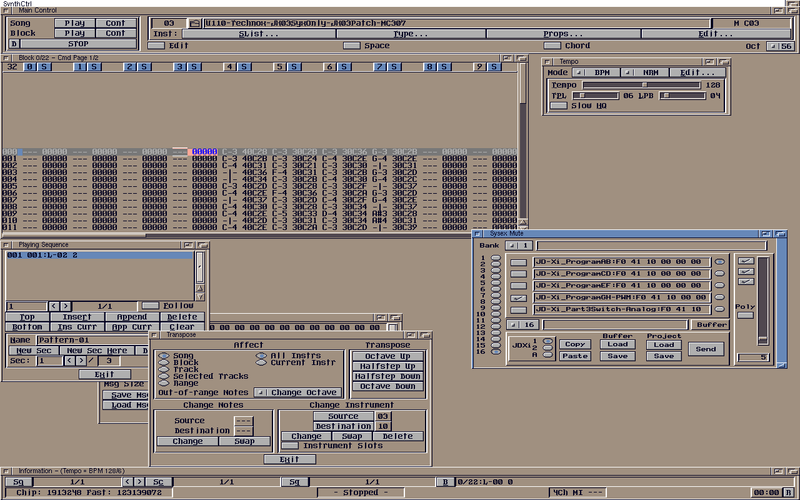 Beside Normal Midi Messages, it also sends Sysex. 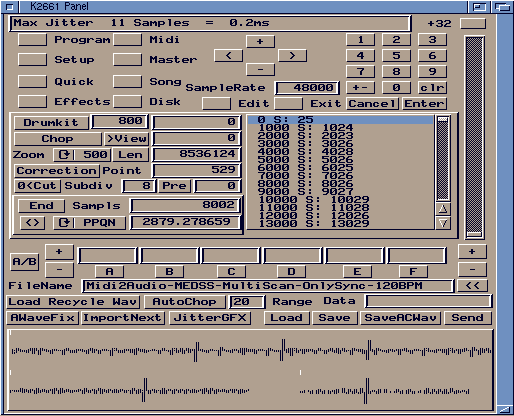 All midi data is Send by the nsm SendMidi Commands. MED-SS is fully automated by ARexx. 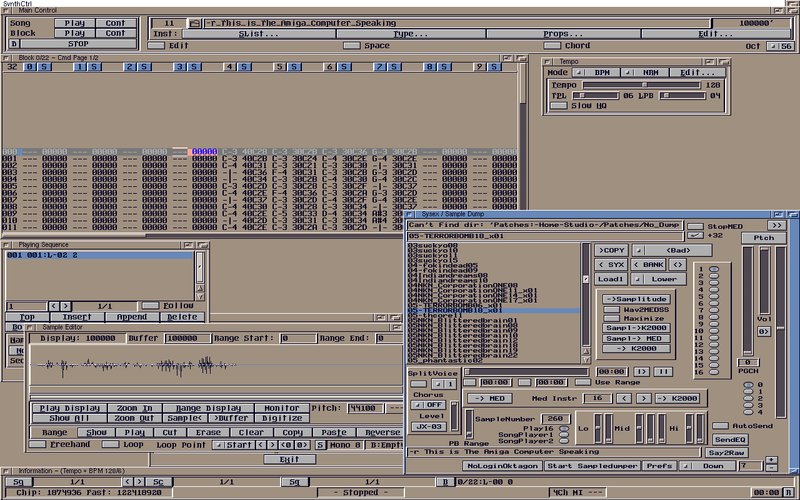 It uses MED-SS Sample Editor to Chop Samples. 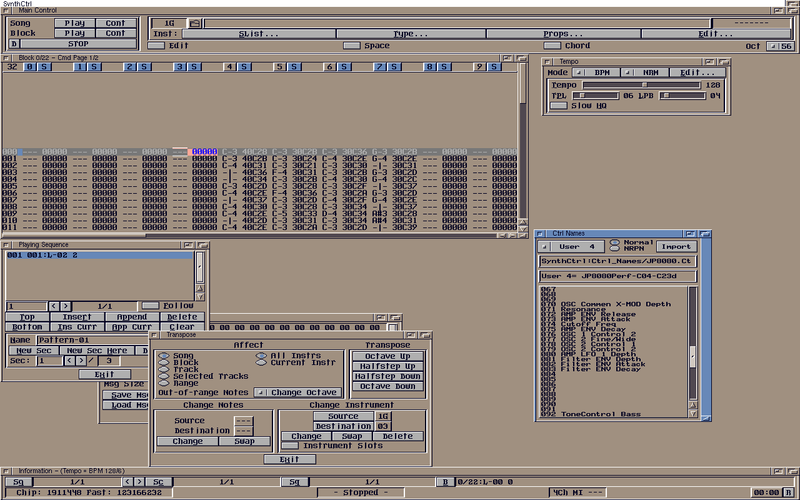 It's Coded in Amiga OS 68K Amos Pro Basic with the GUI & LDOS Extensions. 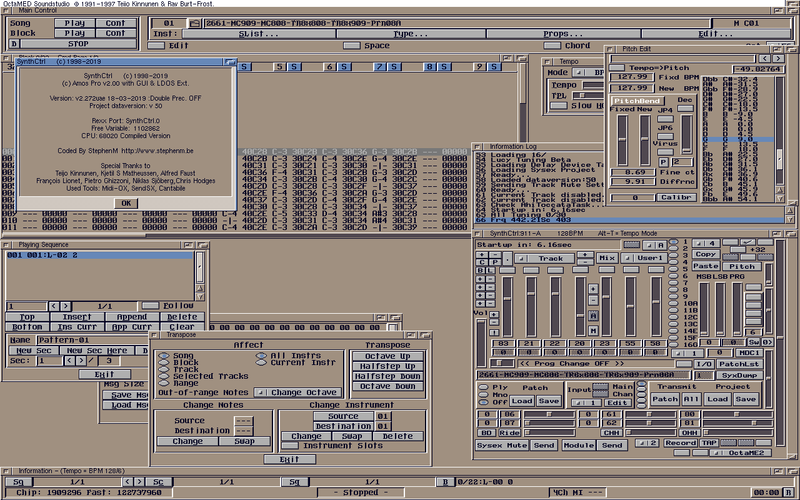 It's never been available for Public, Cause it's for Personal Use in my Music Studio. 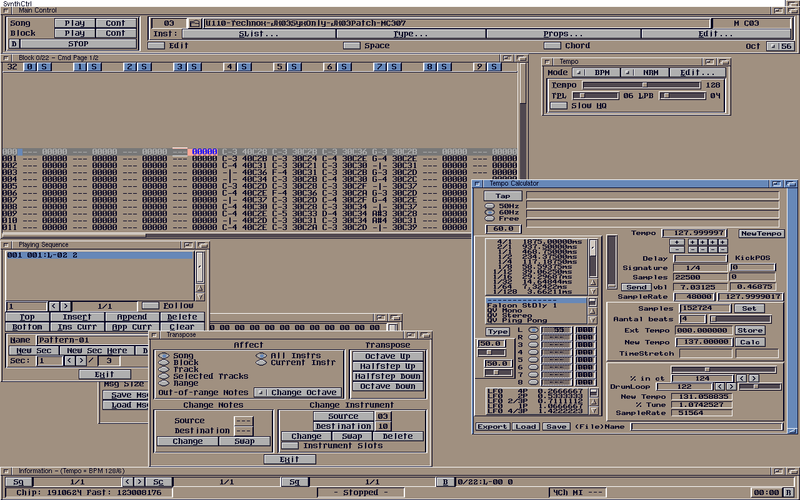 If I wanne make it available for Public, it should be a complete hdf image, I guess. 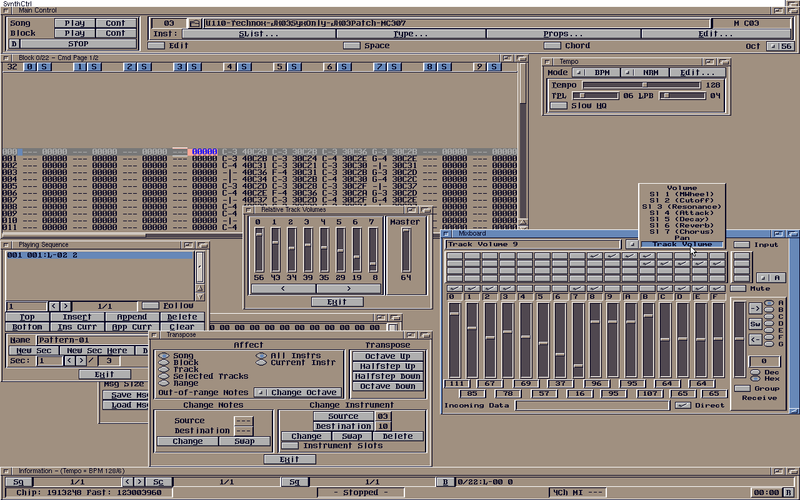 I'm using Ableton v9 64Bit with The E-RM MultiClock and Midex8 (4x) & AMT8 as Sequencer.